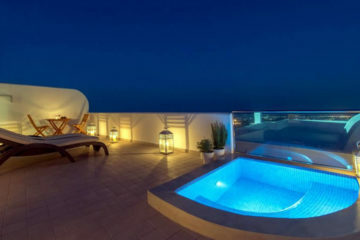 Traditional style apartments with private balconies than can host up to 4 people, located in Imerovigli. You can enjoy the view to the sea and the sunrise either from your room or from the swimming pool and taste the homemade breakfast prepared by the hospitable owners. 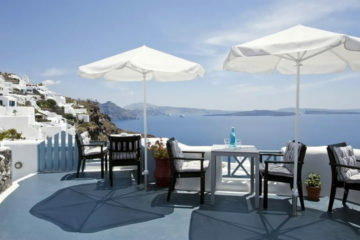 Specify the dates of your visit to Santorini to check availability and prices of Anthonas Apartments.